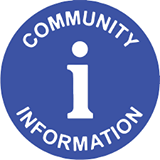 We are a community information centre for the people of Knox, that provides confidential and impartial information with the aim of empowering individuals to make informed decisions which will enhance their quality of life. We believe in the individuality of each and every person. We are committed to providing a welcoming environment whilst delivering our services to people who have specific needs or disadvantages, irrespective of gender, ethnicity, religion, sexual preference, disability or age. All services provided are given impartially regardless of the personal views or options of individual staff and volunteers. At all times the service will respect the dignity and needs of the service users.